With 3 different materials to choose from, you can find a poncho for light duty to heavy duty applications. Ponchos are easy to put on and take off and especially easy to store. Take one when you go see your favorite team, or put a couple in your tent for those outdoor activities. One size fits all. 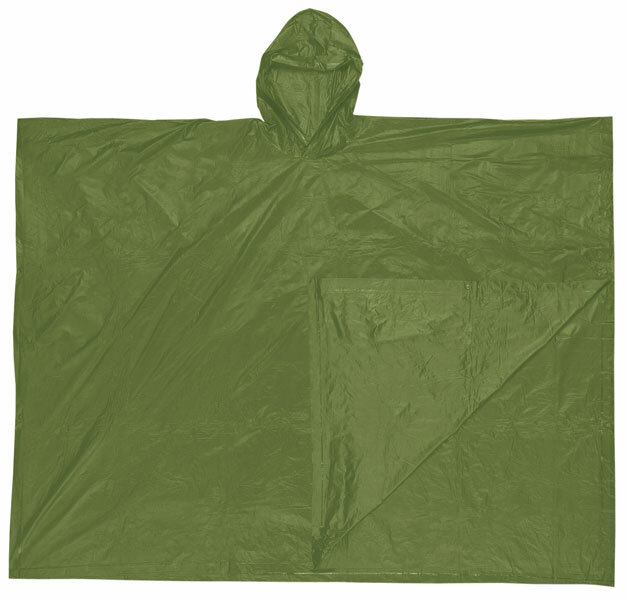 The O48 is a .10mm olive drab green PVC disposable poncho that is easy to carry and easy to use. It features an attached hood, handy tote pouch, and comes in multiple colors.